CIS is Charlotte's #1 Authorized Onkyo Dealer. 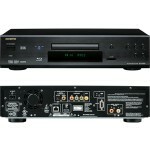 Onkyo will ship three THX-certified components in September 2010. Onkyo will ship three new THX-certified components in September 2010, including its first multichannel preamp-processor that is also 3D-ready, a 150-watt nine-channel amplifier, and a next-generation Blu-ray player. Connectivity on the PR-SC5508 includes 8 HDMI inputs, dual USBs, two balanced line-level XLR audio inputs, and nine XLR preamp outputs. The Onkyo BD-SP808 ($599) is a THX- and DLNA 1.5-certified Blu-ray player that offers Blockbuster On Demand, Marvel Qdeo video scaler and Dolby TrueHD and DTS-HD Master Audio sound. The Profile 2.0 BD-SP808 has an Ethernet port for BD-Live features, including picture-in-picture and web-based firmware updates. There’s an SD card slot for playback of downloaded web content, and HDMI Source Direct mode outputs video signals in their native resolution. CIS : Charlotte, NC's Choice For Home Automation Needs! 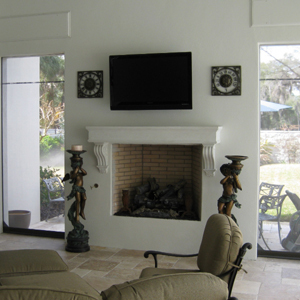 Full integration, including lots of motorized shade controls, make this home run smoothly. These homeowners were building their “dream home” in Winter Park. So why not add some dream home electronics systems to really bring out the best in it? They enlisted a local custom electronics pro to outfit the 6-bedroom, 6.5-bath residence, and the installers served up a suite of security, lighting, audio, video, window treatment control, outdoor screen control, entry gate control, network, telephone and video monitoring. The installation incorporated technologies and products from manufacturers such as HomeLogic, CentraLite, Elan, Mitsubishi, Vutec, KEF and Denon. Security System – The system has multiple communication ports that provide the required flexibility and control. 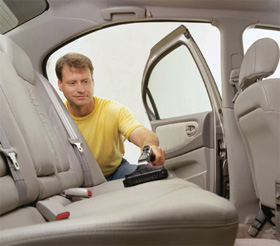 It provides different looks and scenes when armed. The system is directly integrated with the lighting control, automated window dressing, front gate control and the security video monitoring system. Front Gate Control – This system is integrated not only with the security system, but also with the garage roll up doors and the data network system. When the owners set the alarm, the security system checks to see if the garage doors were left open. If the doors are open, it will give a command to close the doors. The owner can monitor the security video cameras for the front gate from any of their control devices, even when they are away from their home. If the owner’s receive a telephone call on their cell phone from someone requesting to get access to the house they can view a camera from their cell phone and see the person at the gate. Then they can then open the gate for the visitor. 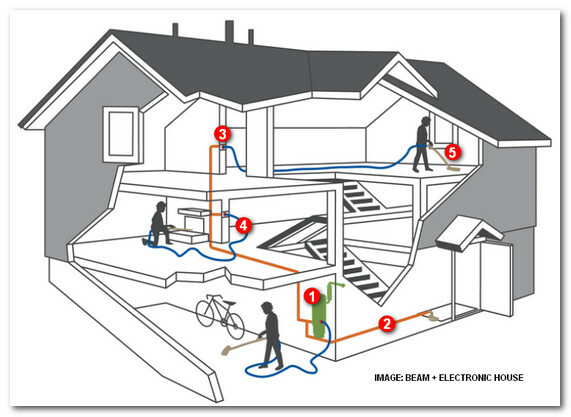 Lighting Control – This system is designed to supplement the way the house is used. The lights integrate with other systems to create scenes for special functions. This would include setting lights scenes for entertaining, pathway lighting, mood settings and burglar alarm. 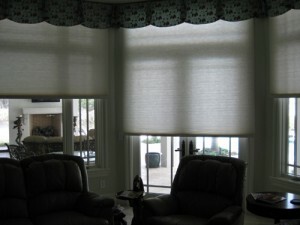 Automatic Window Treatment – This system is integrated to enhance various scenes. In the morning all the automatic window treatments on the east side of the house close until the sun is overhead. Later in the afternoon when the sun is on the west side of house the window treatment will close until one hour before sunset. The shades and drapes randomly close and open when the house is set in the armed mode. When in arm mode the schedule changes constantly in order to appear that someone is in the house. There are drop down screens in front of each of the doors exits that go to the lanai area. The screens are integrated with the lighting system. There are dedicated control buttons on the light switches adjacent to each of the exits. 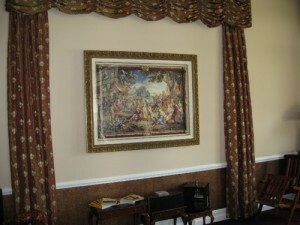 There is no need to go to a touch pad in order to open the drapes; it is done right at the door. 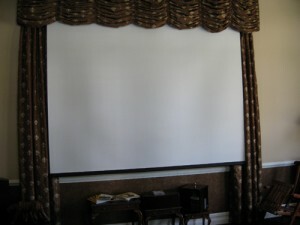 Motorized Outdoor Screen – Each outdoor screen is individually controlled or used as part of an integrated scene. Swimming Pool and Spa Controls – The swimming pool has some unique water features that are activated by the control scenes on the touch pad controllers, network computers or the owner cell phone. The owner has the ability to turn on the spa and set it to a desired temperature directly from his cell phone. Security Video Monitoring – This system monitors critical areas of the house interior and exterior. The video cameras are networked. This allows the owners to view their home from anywhere in the world with a network connection or cell signal. The cameras are integrated with the security system. In the case of an alarm, all of the video is recorded on to a network storage system for later review. Video and Music Entertainment and Distribution System – This system is integrated with the home televisions and the whole house audio system. All the audio and HD video are stored in a single location. 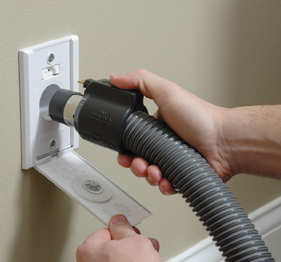 This media can be distributed to individual rooms in the house. The audio system is also integrated with the phones for paging and answering the front door and gate intercoms. Network – This is the key to the success of the integration of components in this project. This works because the subsystems are IP based. This allows for easy future expansion and changes as technology evolves.